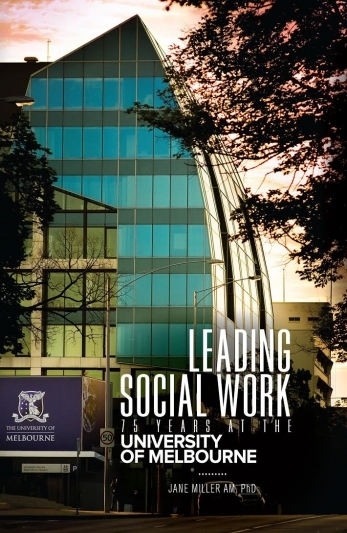 The history of social work education at the University of Melbourne, tracing the influences that would ultimately shape social work as a new profession in Australia. This exploration of 75 years of teaching and research pays tribute to the people who have had a critical impact on the profession. From the moment she stepped foot on Australian soil in December 1934, it was clear that Jocelyn Hyslop was a force to be reckoned with. On the day of her arrival the new Director presented her vision for social work in Australia and then worked tirelessly to establish social work education at the University of Melbourne. Hyslop, along with visionary leaders from the Board of Social Studies, developed social work training at Melbourne that was both academically and professionally strong. its high standards and commitment to quality education providing an important foundation for a new discipline that would prepare generations of social work students who would also assume leadership roles within and beyond the profession. In this history of social work education at the University of Melbourne, Jane Miller draws upon her PhD research to trace the influences that would ultimately shape social work as a new profession in Australia. In a thoughtful exploration of 75 years of teaching social work practice and research, Miller tells an important story of social work and pays tribute to the people who have had a critical impact on the profession.